My sophomore year at Michigan State, I shared a house on Evergreen Avenue with four lovely ladies. To say we had a blast would be the world’s biggest understatement! I have many wonderful memories of that year, though a few are no doubt missing, grown fuzzy with time. We studied hard, worked hard, and of course, partied hard too. And somehow we made it through the year with minimal drama (practically unheard of in a house of five women! ), emerging with strong, lifelong friendships. One by one we graduated and moved away to start our adult lives. For several years we all saw one another when one of us got married, but eventually almost all of us were hitched and we realized that we’d need to find another excuse if we wanted to continue seeing each other regularly. And so we planned what became the first annual Evergreen Girls reunion. In the past, we’ve rotated between our adoptive home towns, including Chicago, Seattle, Philadelphia, and two different trips to MI. 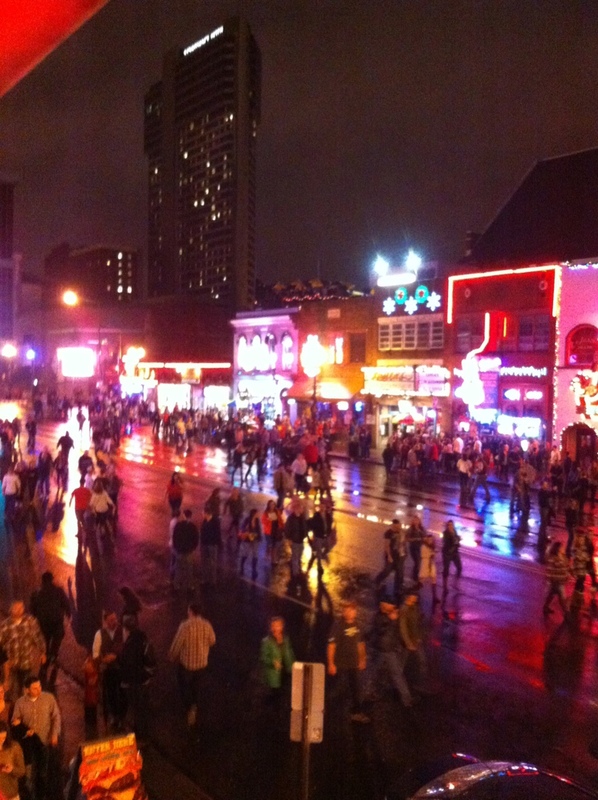 This year, however, we decided to shake things up a bit and chose a place where none of us live: Nashville! After we got settled into the hotel, we headed out for a couple of drinks before dinner. We stayed right downtown, so there were plenty of options within walking distance. 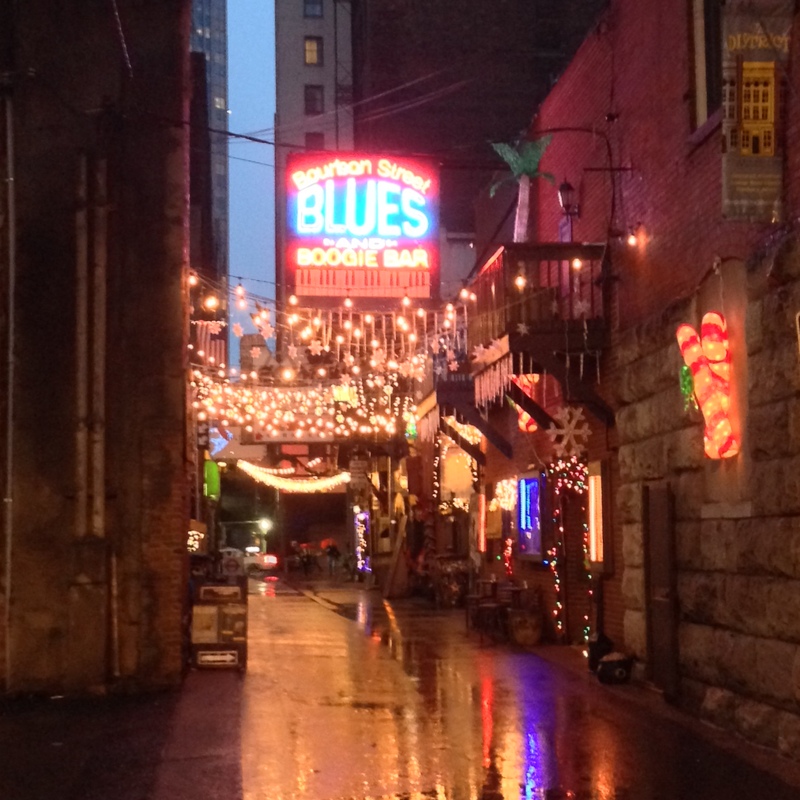 Bourbon Blues and Boogie Bar was located in an alley off of Union Street. We had a couple of drinks, along with some tasty snacks – deep fried pickle chips served with buttermilk ranch and chicken fingers smothered in “Voodoo” sauce, which I believe was a combination of sweet BBQ sauce and Frank’s hot sauce. 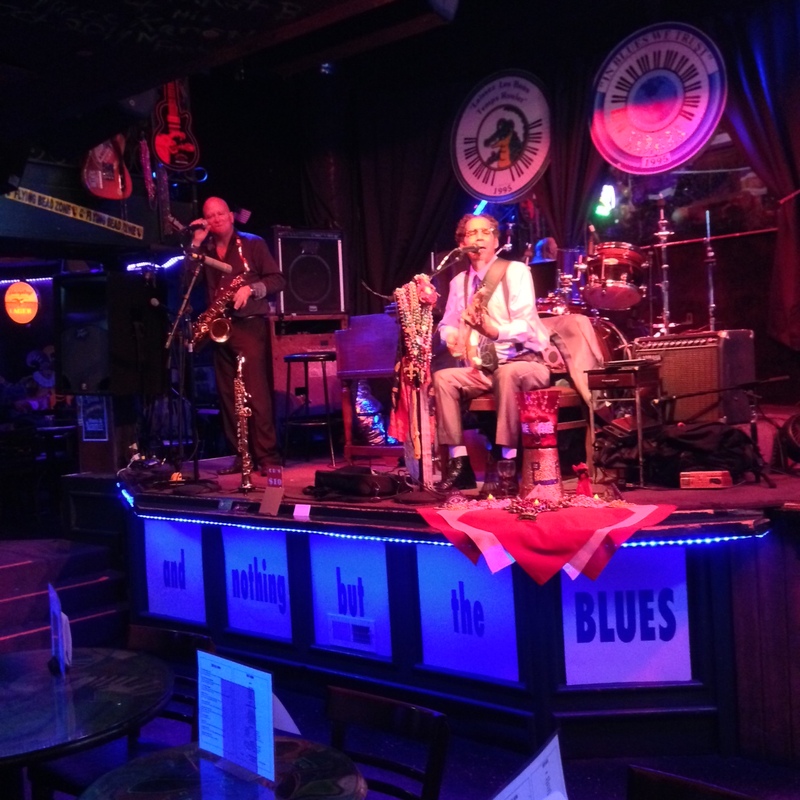 I can’t recall the name of this duo that serenaded us at Bourbon Street Blues and Boogie Bar, but they sure sang some mean blues! On the way back to the hotel to get ready for dinner, we grabbed some beer. 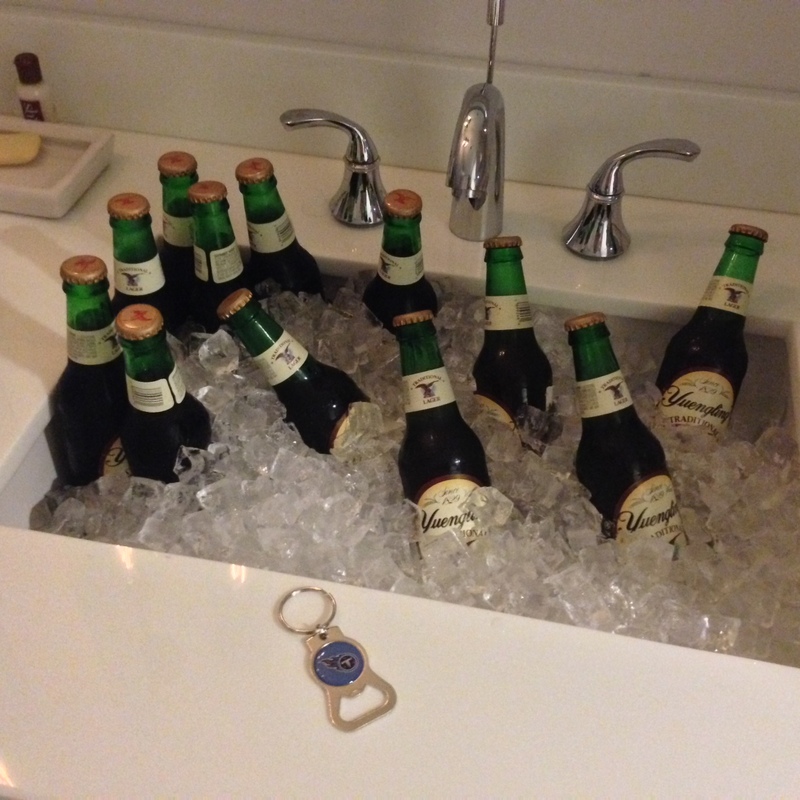 Most of us can’t find Yuengling at home! We had Friday night dinner reservations at The Southern, and boy did it smell heavenly as soon as we walked in the door! We were promptly seated, then doted on by our waiter. We shared two salads, the Southern Wedge and the Bless Your Heart, and each ordered our own entrees. I decided on the brisket. It melted in my mouth!! 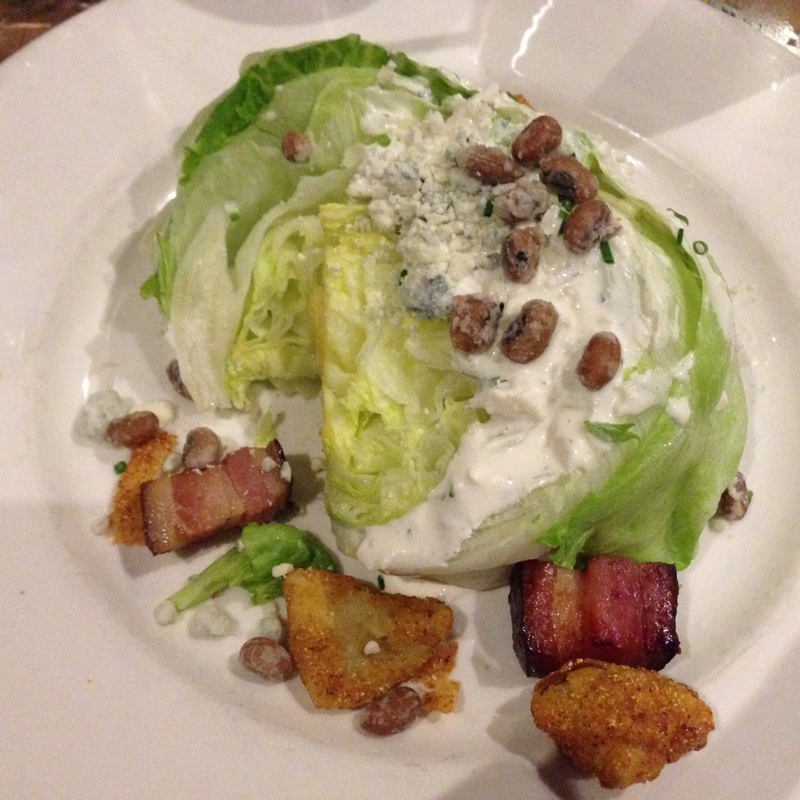 Southern Wedge: iceberg wedge, fried green tomatoes, crispy fried black eyed peas, bacon lardons, and blue cheese dressing. 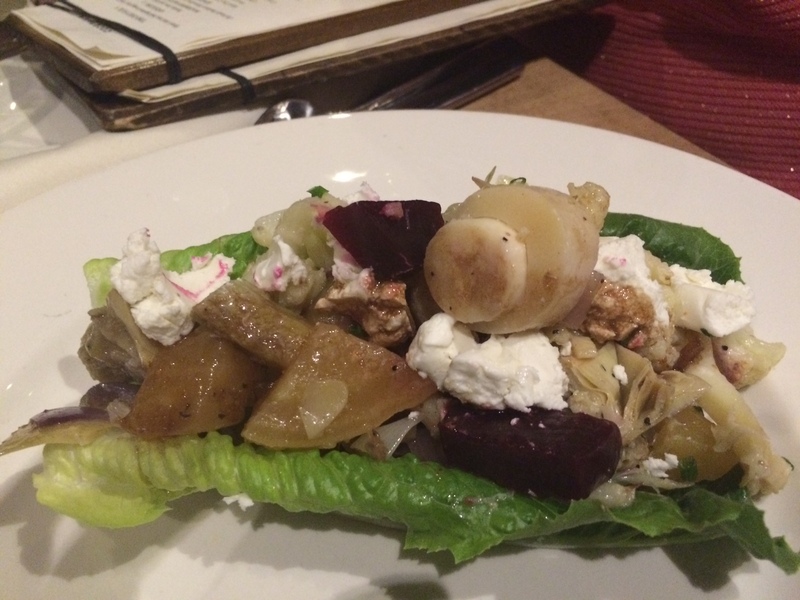 Bless Your Heart Salad: romaine, hearts of palm, beets, artichokes, cauliflower, pepitas, goat cheese, and balsamic herb vinaigrette. 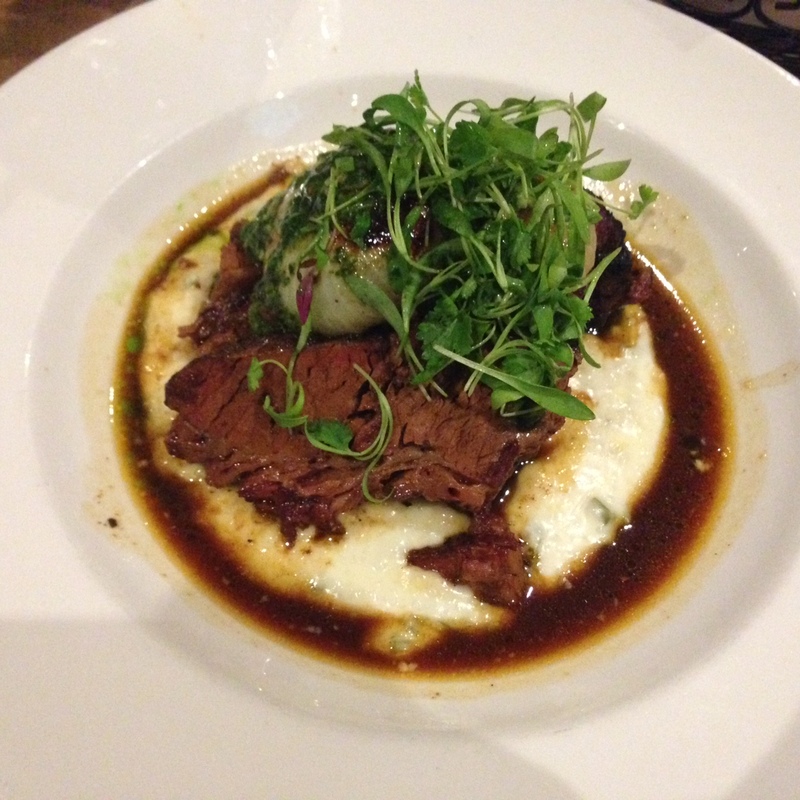 Braised Beef Brisket served with roasted cipollini onions, jalapeño cheddar grits, and cilantro pesto. After dinner, we hit the town. There was no shortage of bars to visit on Broadway (the main drag for nightlife) and they all had live music streaming out their doors. As if it wasn’t already crazy busy, a concert let out while we were upstairs at The Big Bang (a dueling piano bar). We hit up a few more bars, enjoying the music before heading back to the hotel for some rest. We caught a picture of hundreds of people flooding Broadway. Saturday morning we were all moving a little slowly. We caught up on the latest reality TV while drinking plenty of water and dreaming about breakfast. We eventually found ourselves grabbing carry out from the Frothy Monkey. It was kind a coffee shop, but one that served really good food, too. I ended up getting a chicken salad sandwich for breakfast because it simply sounded too good to pass up! The “Betsy” was white meat chicken salad with cranberries, celery, Dijon and maple syrup dressing, lettuce, and tomato served on lightly toasted sourdough. It was so good that I got it again on Sunday! No pictures…I ate it too quickly! We spent the afternoon getting massages, grabbing a drink, then shopping for boots. You can’t go to Nashville without cowboy boots, right? It was a fun experience. I’ve never seen so many boots in my life! 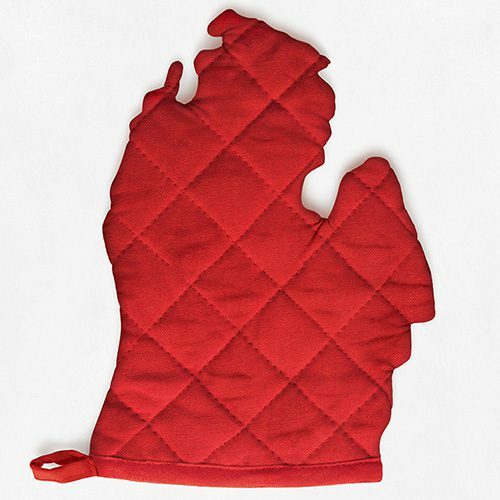 Some were beautifully stitched, others were plain. There were all different colors – red, blue, green, purple, brown, black, sparkly. You name it, they had it! After we found boots, we headed back to the hotel to clean up before heading out for — you guessed it! — our next meal. And of course we all wore out brand new boots. 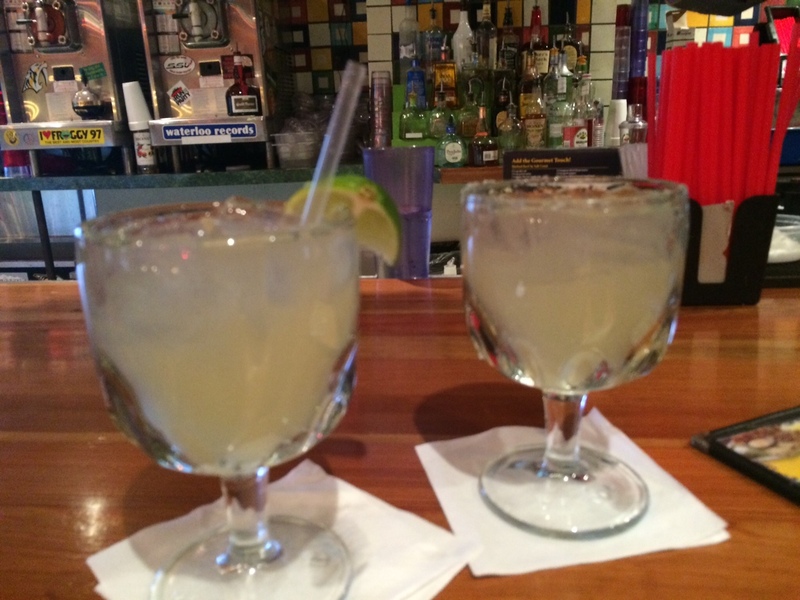 We enjoyed some post-massage drinks at Chuy’s in Midtown before shopping. Our reservation Saturday night was at The Farm House. I wish I could say that our experience here was as great as The Southern, but overall it was lacking. Our waitress was a bit slow and forgetful. The space itself looked beautiful, but was freezing cold. I’m sure my meal would have been amazing…if it had been hot. I ordered the Hot Chicken. The “hot” apparently refers to its spiciness, not its temperature. Don’t get me wrong, it did taste good, but I like and expect my food to be HOT. If it’s warm, I’m out. I don’t think I would go back, but I guess they can’t all be winners. 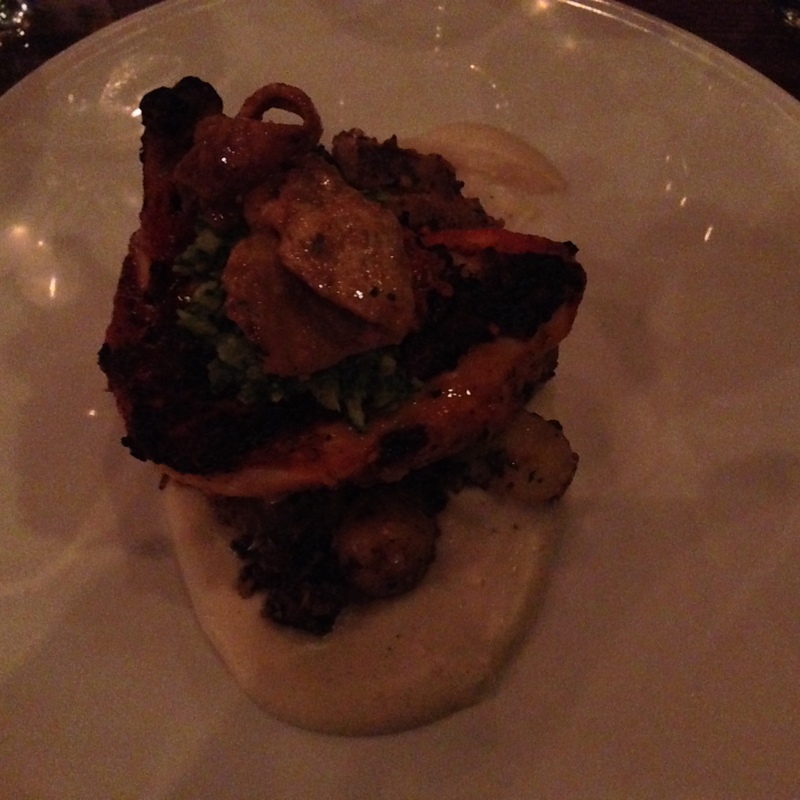 Hot Chicken with biscuit puree, pickled sweet garlic gremolata, candied skin, and warm potato salad. We decided to keep things light Saturday night since most of the girls had kiddos to go home to on Sunday. And let’s face it — we’re not getting any younger! We decided to try the Pinewood Social for a couple of drinks. They had coffee, food, cocktails, bowling, and bocce ball. It was a pretty cool place. 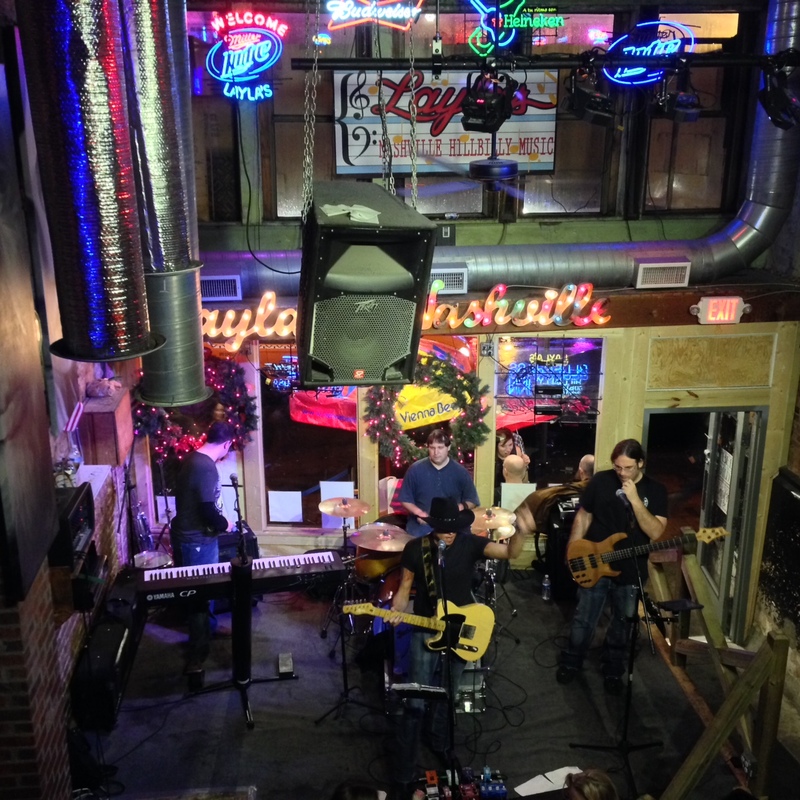 I would definitely recommend it if you ever find yourself in Nashville! All in all, it was an amazing trip! Cheers until next year, ladies! Laura – thank you for making all of the reservations and finding the best spots to visit during our short trip! !